Florida State fans needed just two days to buy all 15,900 FSU was allotted and requested for the 2011 Champs Sports Bowl. 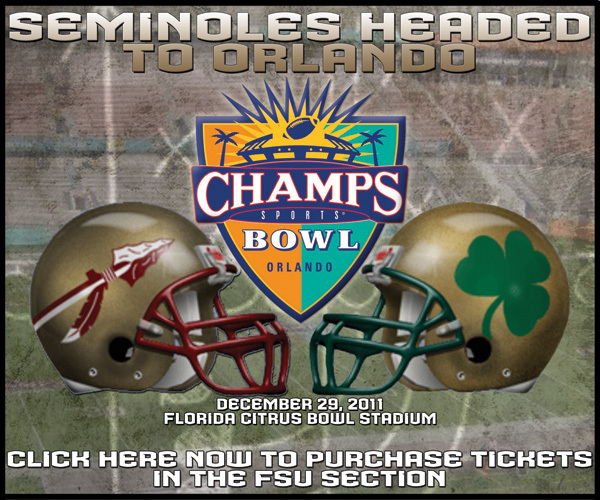 The match-up with Notre Dame was announced Sunday evening around 9 p.m. and as of Tuesday evening, the complete allotment plus the extra tickets requested were sold out according to FSU assistant AD for ticket sales and operations Ben Zierden. The Noles have had plenty of success filling the stands at the Florida Citrus Bowl in the past. 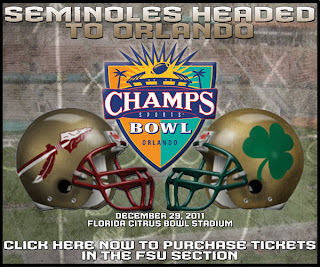 FSU and Notre Dame drew a then-record crowd of 72,868 when the teams met in Orlando’s Florida Citrus Bowl in 1994. The game is still the third-highest attended football game in stadium history.